These days more and more people in the Rochester, NY area are interested in “green” carpet cleaning for their homes. For some people it is matter of being sensitive to the chemicals used in traditional carpet cleaning methods. Other people desire to protect their children and pets from strong chemicals, while other people are committed to being more environmentally conscious. Some homeowners are stuck in the position of being allergic to the dust, dirt, and dander that accumulate in carpets and also sensitive to the chemicals used in traditional carpet cleaning methods. When those chemicals are used, the homeowners suffer from dizziness, nausea, and irritation of the respiratory system. Pets can be affected in a similar way since they are closer proximity to the treated carpet. No matter the reason why a customer is interested in a more eco-friendly carpet cleaning method, Jet Dry Carpet Cleaning can help with its Complete Green Carpet Cleaning Service. Jet Dry provides an all-natural pre-spray that is plant based and eco-friendly. The spray contains no VOC’s, no Butyls, no Phosphates, and no hazardous solvents. The spray is suitable for all types of carpet fibers and also meets the carpet manufacturers’ and DRI criteria for stain resistant carpet care. Best of all, it not only exceeds the environmental guidelines, but also provides a superior cleaning performance. 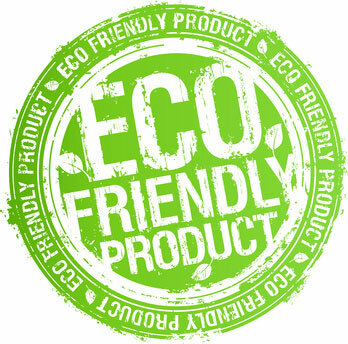 Our customers find that our eco-friendly products are gentler on carpets, yet are just as effective as man-made products full of strong chemicals. If you live in the Rochester area and you are health-conscious and wish to avoid the harsh chemicals normally associated with professional carpet cleaning, give Jet Dry Carpet Cleaning a call today. Your carpets will be thoroughly clean and your whole family will breathe easier. In addition to Green Carpet Cleaning, Rochester, NY residents trust Jet Dry for other cleaning services, including: Tile and Grout Cleaning, Granite Polishing, Water Damage and Extraction, and Wood Floor Polishing.